We wait for you at our stand A69 in Hall 11.0 in Frankfurt. Thousand of visitors made SWW a success. We will be pleased to welcome you at our Stand S733. We would like to thank all our customers and visitors for their large participation in the IVS fair, for their support and for spending good moments together. After the success of the first edition, Titalia comes back and exhibits at IVS, the most important international event in the industrial valves world, which will take place in Bergamo next 24-25th May. Our company’s owner, Mr Riboldi, has provided some valuable inputs which have inspired us and we are glad to share with you. 21 Sep 2016 Positive confirmation for TITALIA at ONS 2016, Norway. About 65.000 visitors and 1241 exhibitors from 40 countries have consolidated the fame of Offshore Northern Seas, a point of reference in the European Oil and Gas sector for more than 20 years. We are glad to invite you to the next ONS -Offshore Northern Seas conference and exhibition- core meeting point in the oil and gas/offshore sectors. Titalia will be in Stavanger, Norway at ONS 2016 “Offshore Northern Seas Conference and Exhibition”, from 29th August to 1st September 2016 with a position at the Italian pavilion. In Titalia is now operative the new laboratory for mechanical tests such as: tensile testing, resilience testing, hardness testing and analysis of gases and chemical composition. Titalia integrates the commercialization of titanium to the research and development in cooperation with institutions, research associations and the Polytechnic University of Milan. We are glad to inform you that Titalia will attend the Stainless Steel World 2015 trade fair on November 17th-19th 2015 in Maastricht. The participation in IVS e Achema 2015 has ended with a bang for Titalia. This year, Titalia will attend the Achema exhibition, the international forum of industrial processing and a benchmark for all the players working within this field. We will be glad to welcome you in Frankfurt into our exhibition stand in pavilion 11.0 - D66. Titalia will participate in IVS 2015 (Industrial Valve Summit), the reference event for the industrial valves sector that will take place on May 27th and 28th at the fiera di Bergamo area. If in December it is common to make a recap of the year that is coming to an end, Titalia’s 2014 goes straight to the archive with a label: exciting! Knowledgeable, curious, demanding: this is the identikit of the audience that, from August 25th to 28th, met Titalia at the Stavanger Trade Fair. 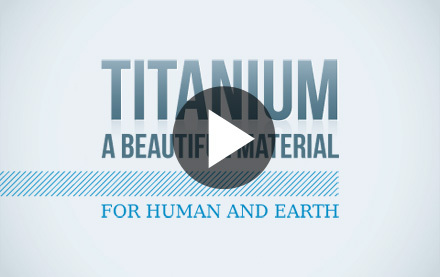 29 Jul 2014 Titanium Marketplace Grows And So Does Titalia. Next Appointment? ONS 2014! Also in the first months of 2014 Titalia is the witness and the engine of the growing success of the titanium marketplace: thanks to its remarkable features, titanium is employed in a growing number of applications. In order to improve even more the quality of its service, Titalia has decided to invest in the modernization of its forge. Since always Northern Europe has been a very important area for titanium processing and trading: Sweden, Denmark, Holland and Norway are among the reference markets for this material. And Norway is the next destination for Titalia that will participate once again in ONS exhibition 2014. 7 Nov 2013 Titalia at Stainless Steel world 2013: It sounds good! Research and development in the optimization of the titanium use and working never end. Therefore Stainless Steel World 2013 Exibition represents an imperative meeting point for the industries. We have reached just over the half way mark of this year: it is time for reflection, to rest a little and start planning the work that lies ahead in the weeks and months to come. 24 Dec 2012 Titalia wishes you great holidays and looks forward to meeting you up in 2013! Soon a decisive year for Titalia will be over: in 2012 we carried out an important renovation of our machinery and we also went one step further in the health protection and environmental respect adhering to the Health and Safety Executive standards. Health and Safety Executive (HSE) is the reference body for the prevention of industrial injuries and the awareness about health protection and environmental respect in the working environment. The event that took place from June 18th to 22nd in Frankfurt has been the thirtieth edition of this important occasion where excellencies from all over the world in the fields of chemical engineering, environmental protection and biotechnologies meet.